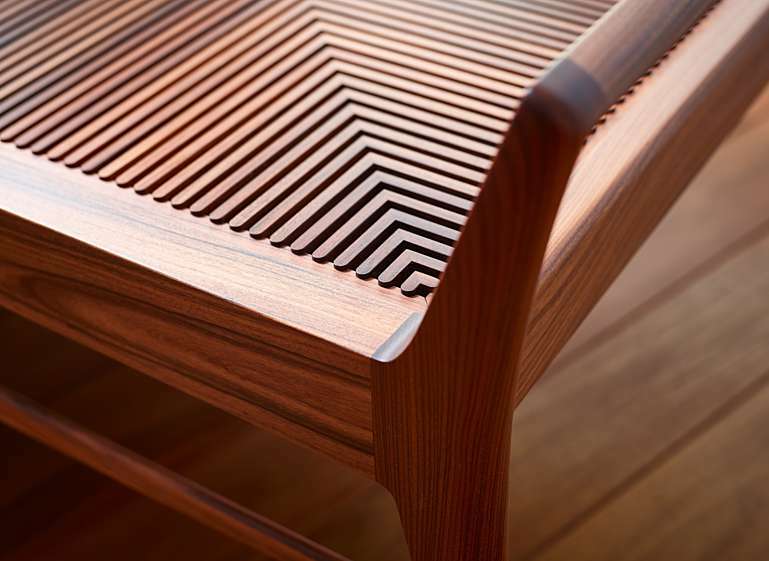 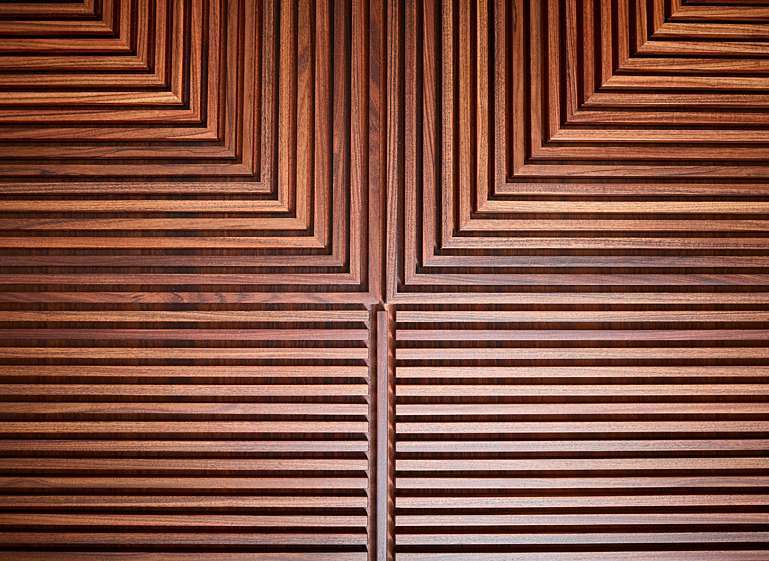 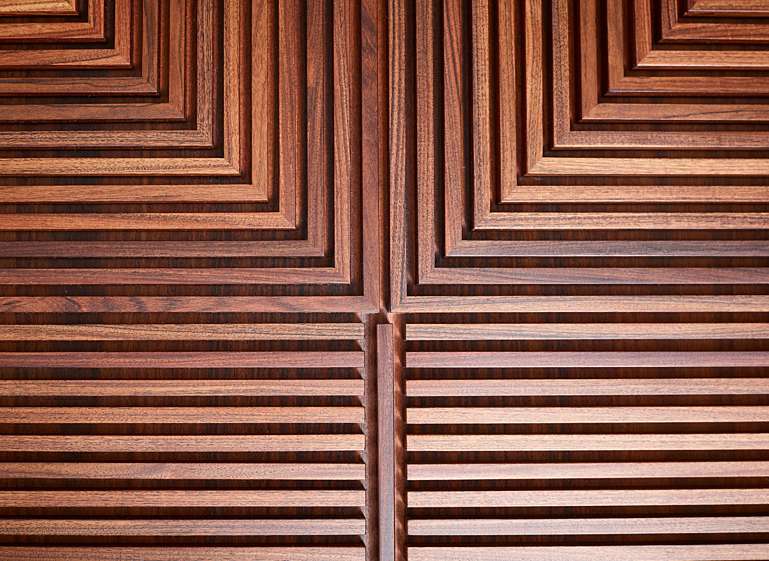 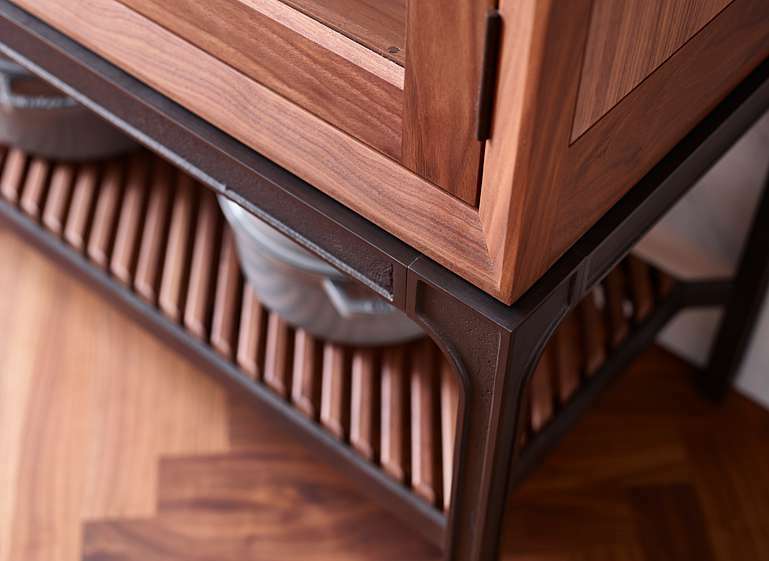 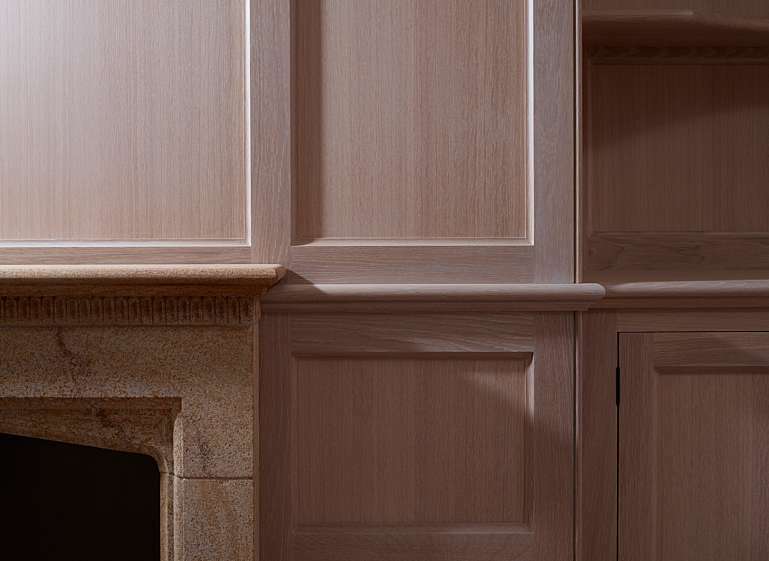 Our artisans make bespoke cabinetry and furniture from the finest materials, sourced worldwide, drawing design inspiration from all traditions. 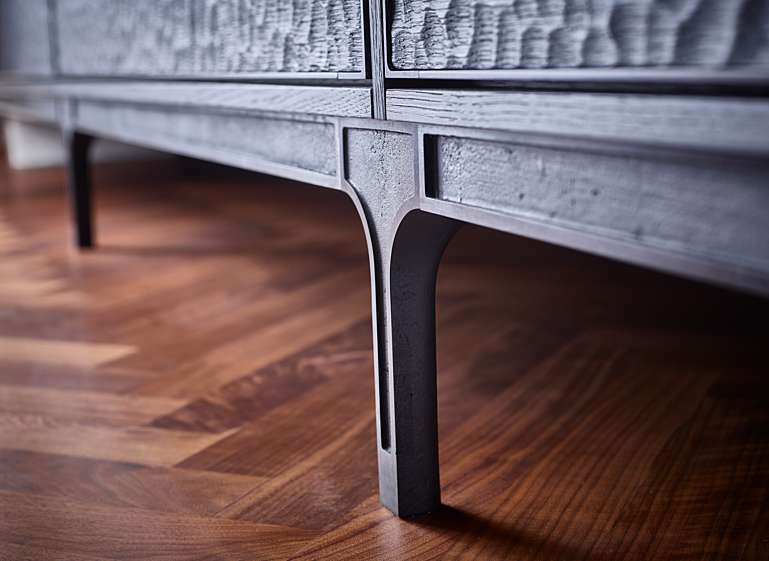 We partner with the interior designer to create the perfect unique piece, or an entire room: heirlooms, backed by impeccable service. 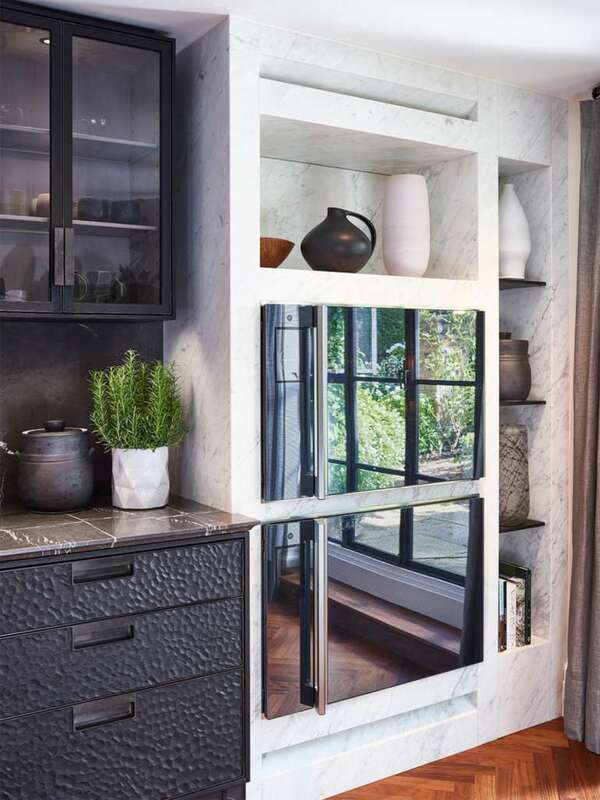 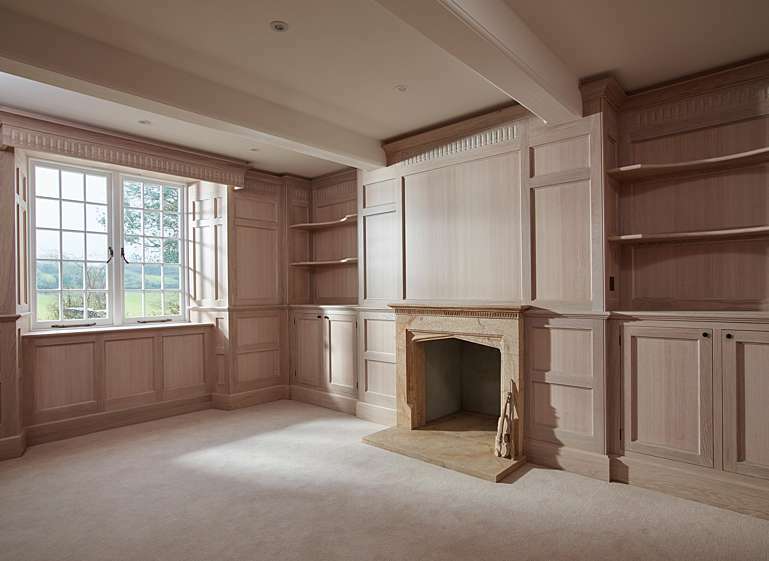 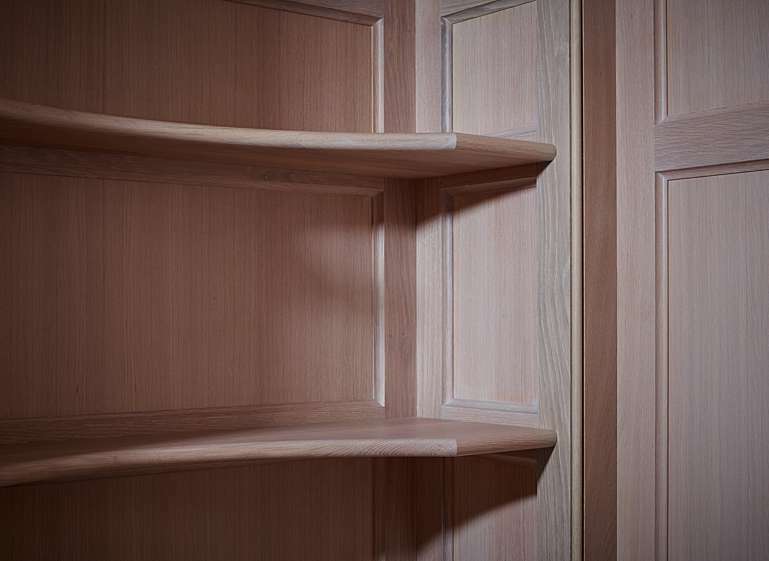 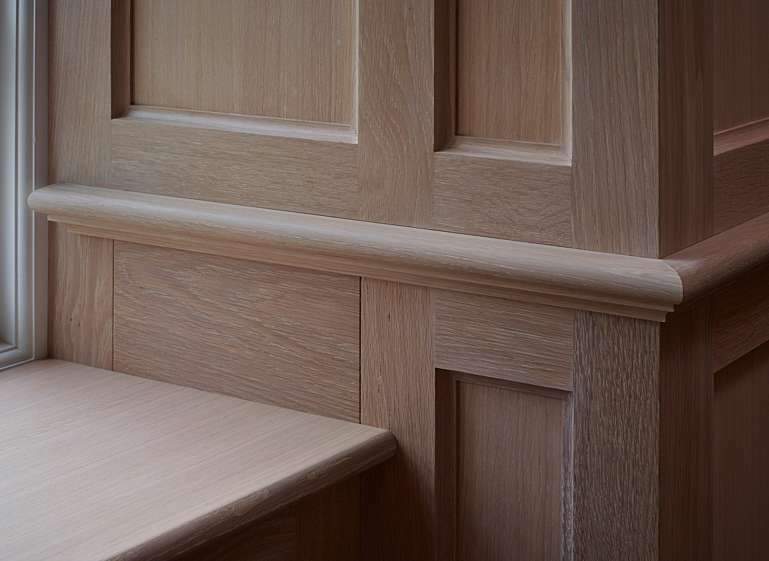 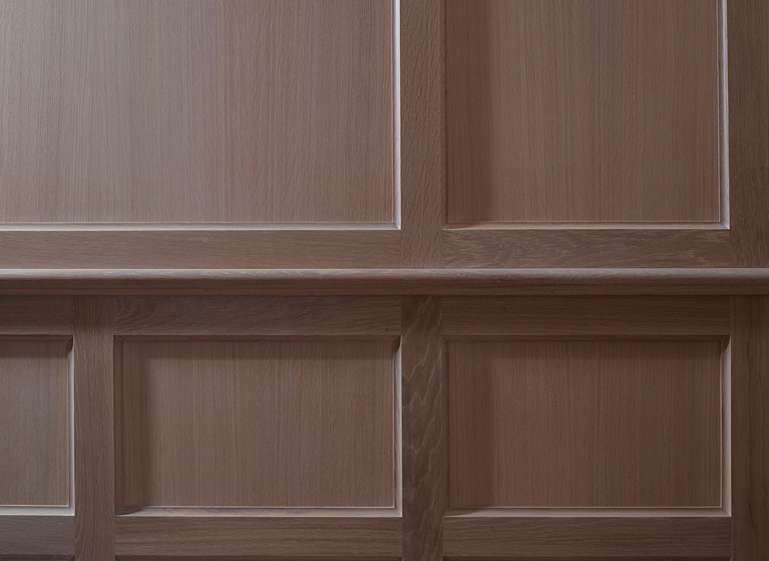 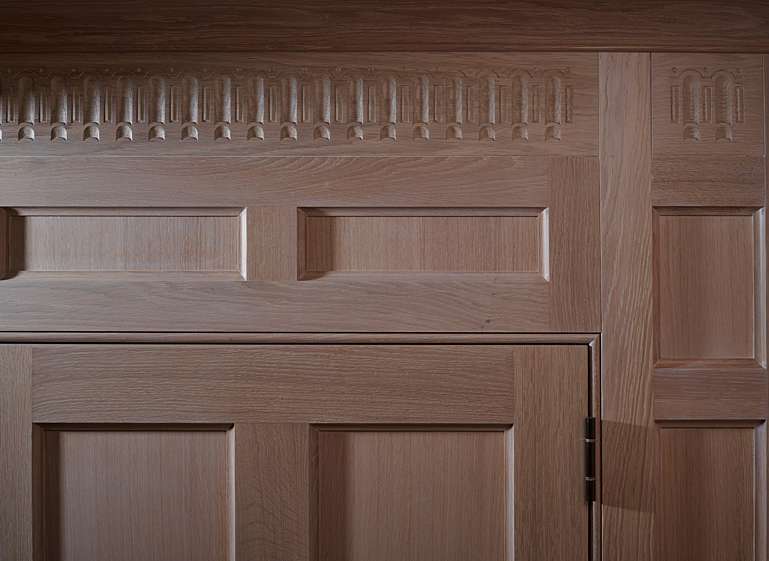 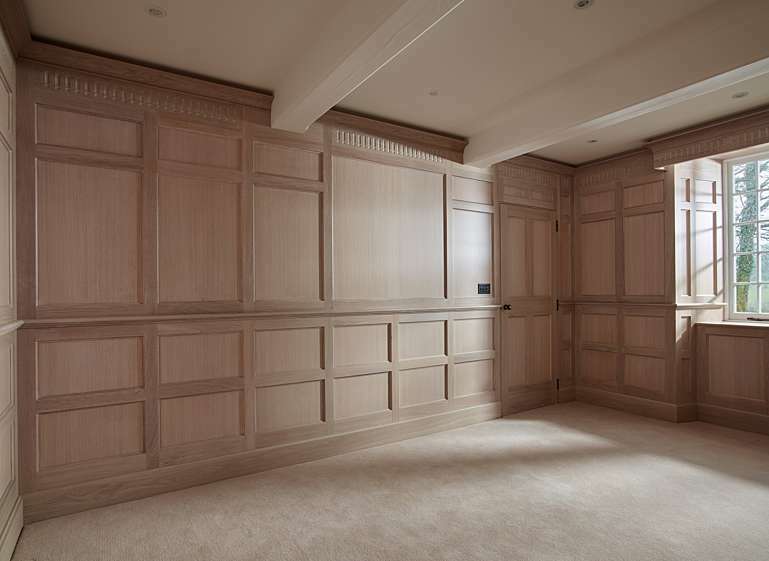 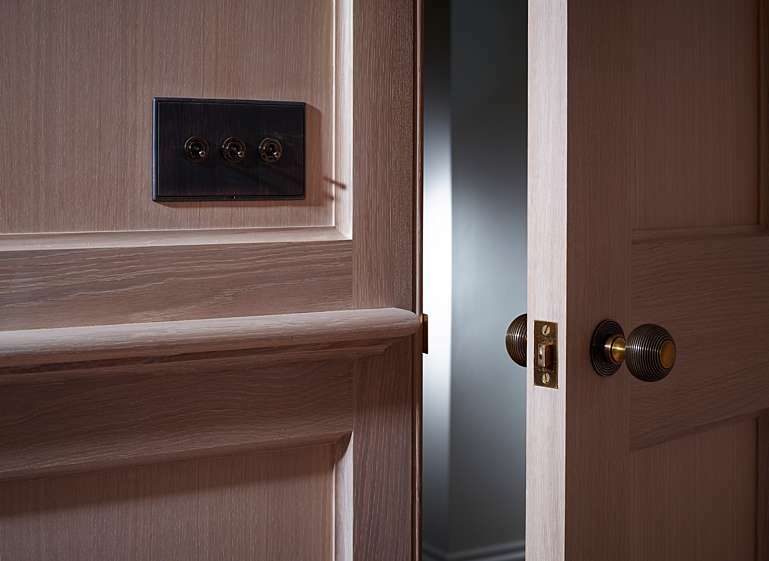 We offer specialised joinery with scrupulous attention to both function and aesthetics. 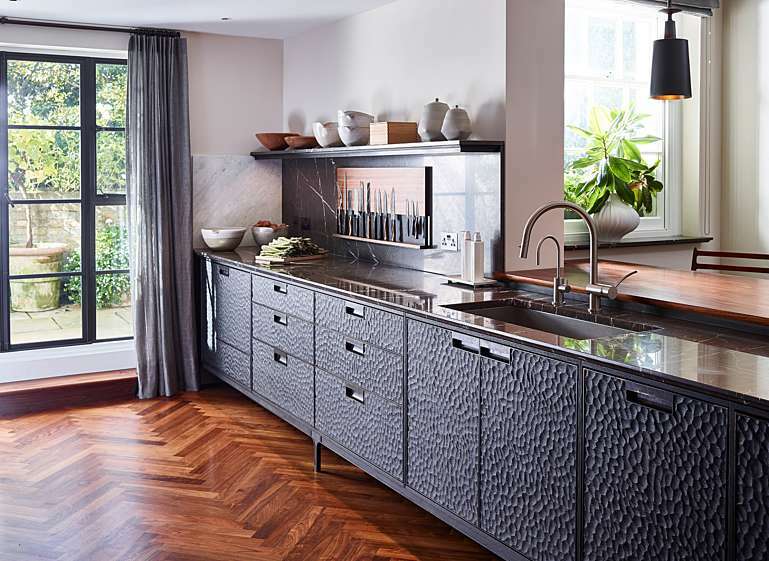 Part of a ground-floor refurbishment of a 19th-century townhouse, this kitchen incorporates professional specification requirements whilst preserving a timeless beauty. 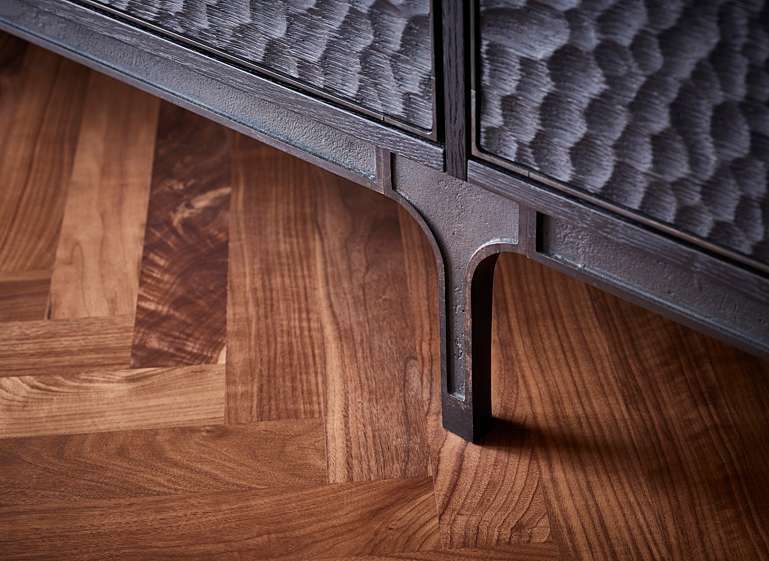 It employs the finest materials, with hand-formed textures, accentuated by crisp detailing and flawless engineering. 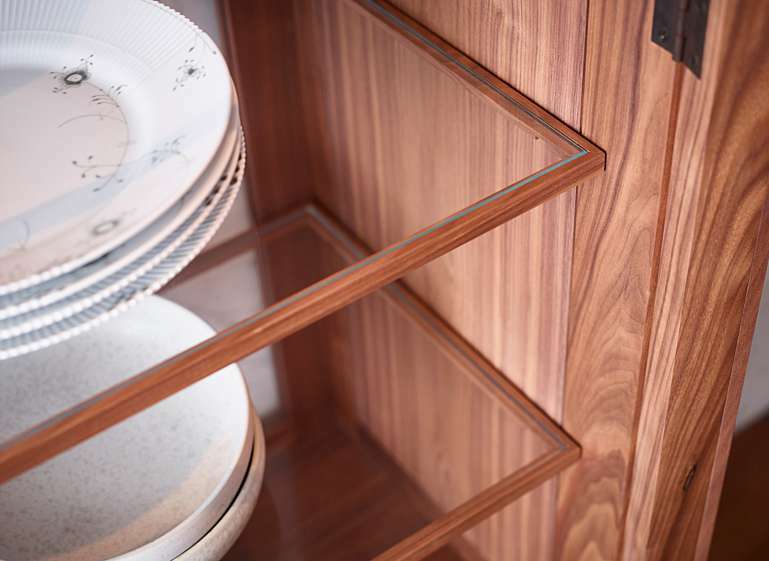 The design had to complement the clients’ collection of contemporary craftware and crockery, which they use on a daily basis. 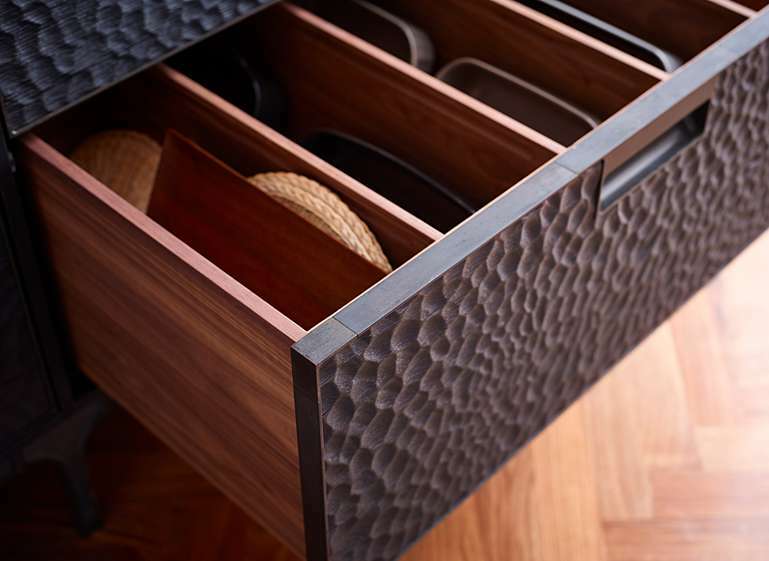 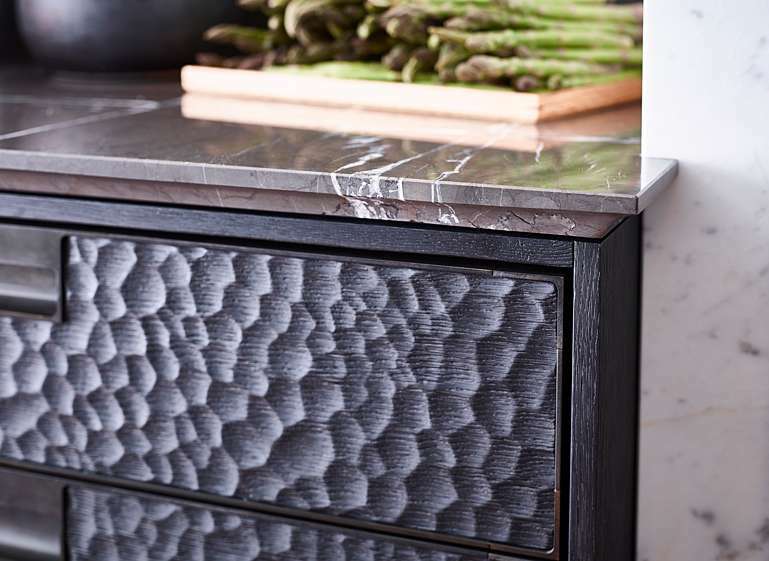 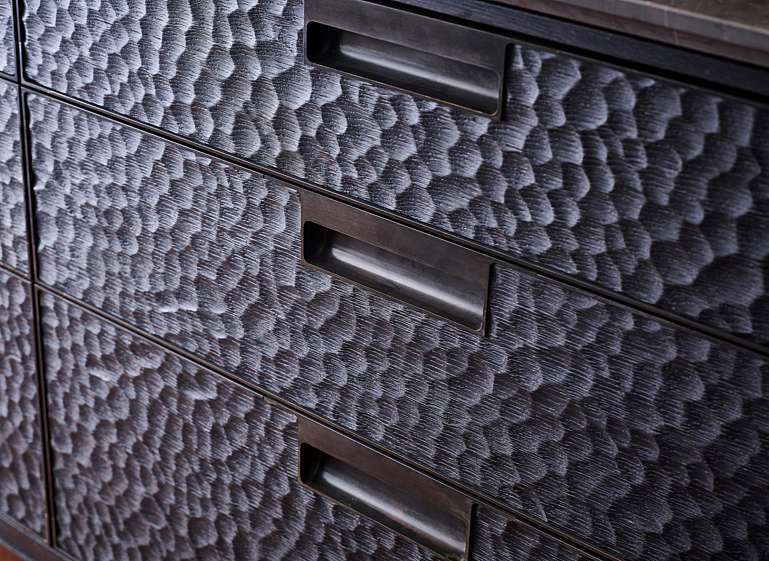 A broad palette of finishes includes smooth waxed brass, wire-brushed veneers, sand-cast bronze, and carved, sculpted oak. 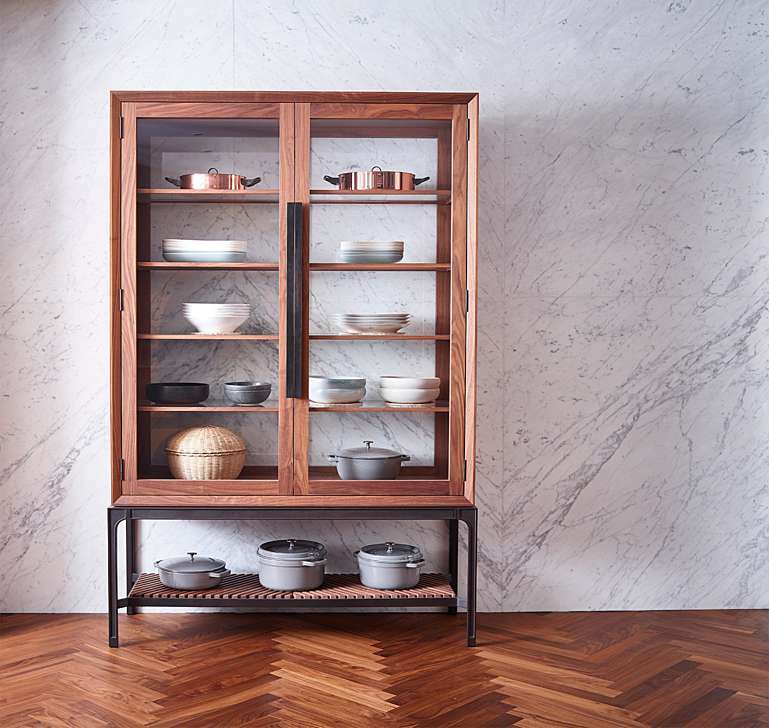 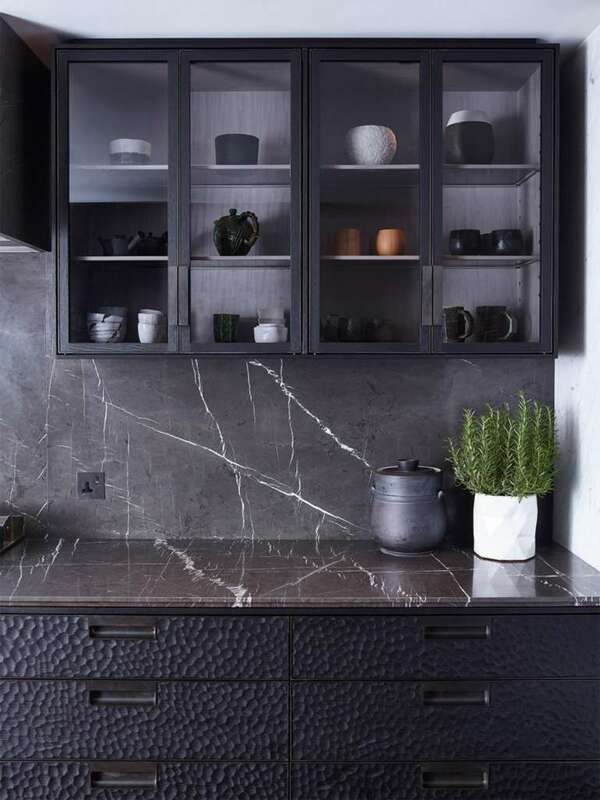 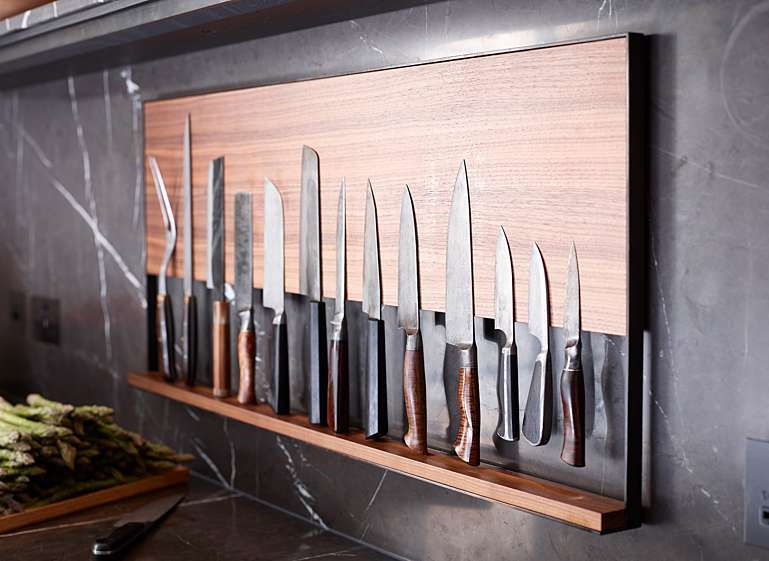 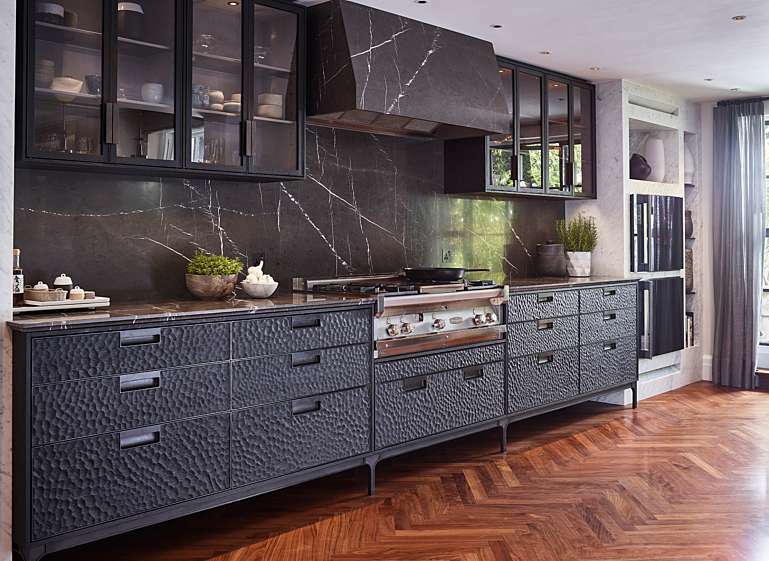 Bespoke features include custom bronze appliance switchgear, stainless steel sink accessories, a knife rack that displays the clients' hand-made chef's knives, and a free-standing glazed cabinet housing crockery by Royal Copenhagen and ceramicists Yumiko Iihoshi and Kasper Würtz. 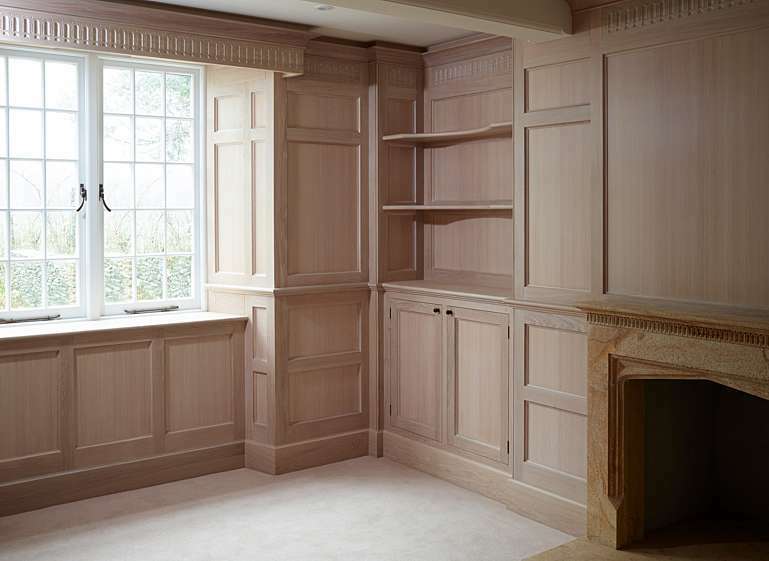 Definitive reference books and measured sketches from the clients’ own furniture collection define the proportions of the panelling of this music room in the 17th-century wing of an English country house, and inform the hand-carved frieze and moulding details. 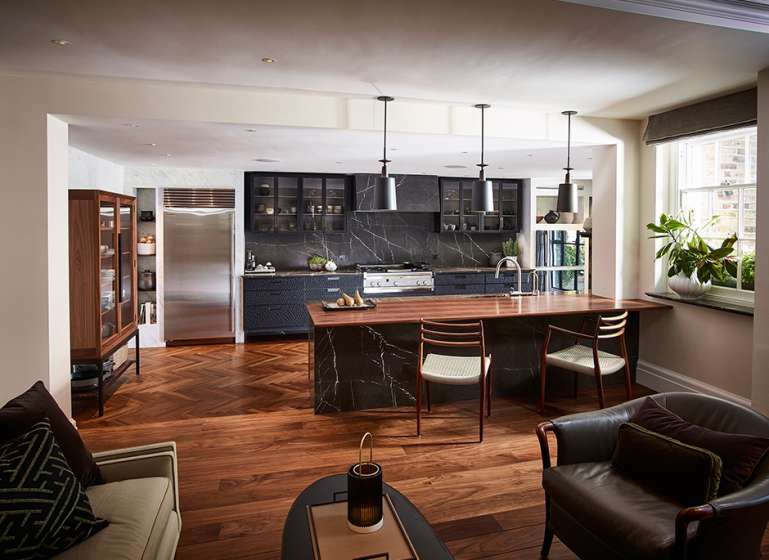 The overall design produces a stately and restful ambiance. 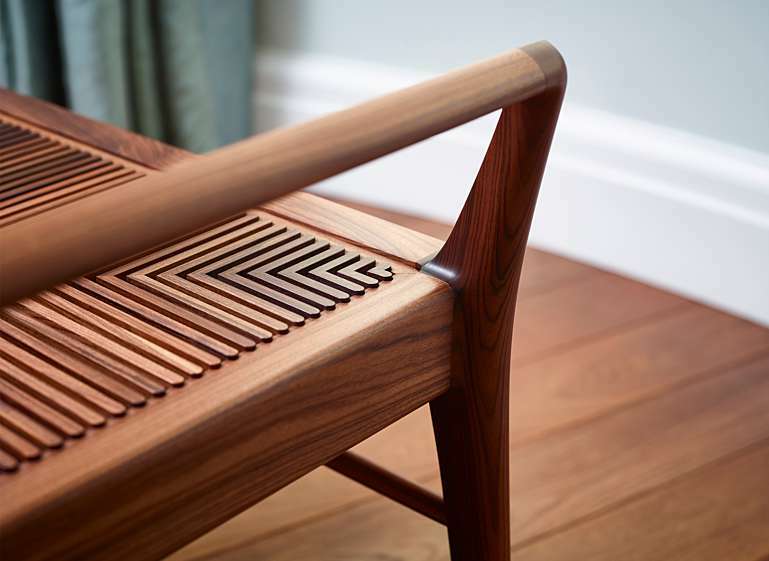 This meticulously individualised, elegantly proportioned but functional piece of furniture is designed to sit alongside a collection of original mid-century Scandinavian pieces. 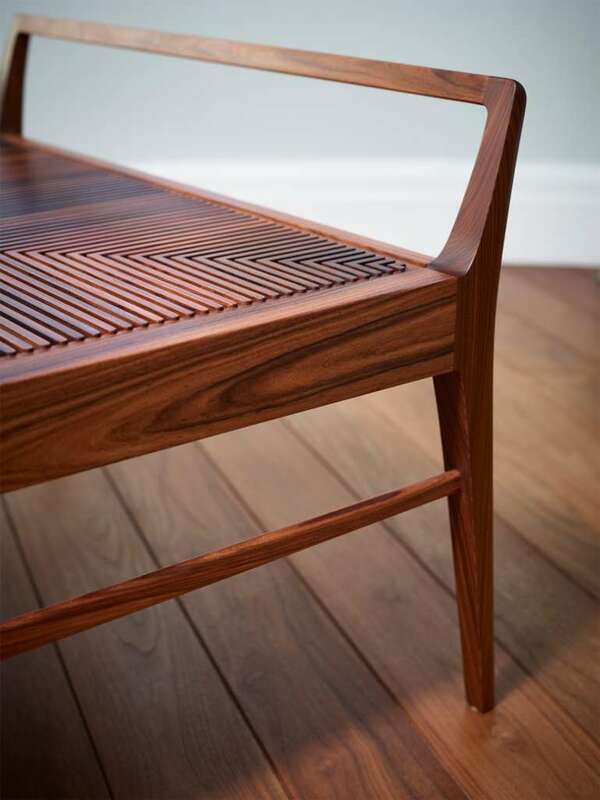 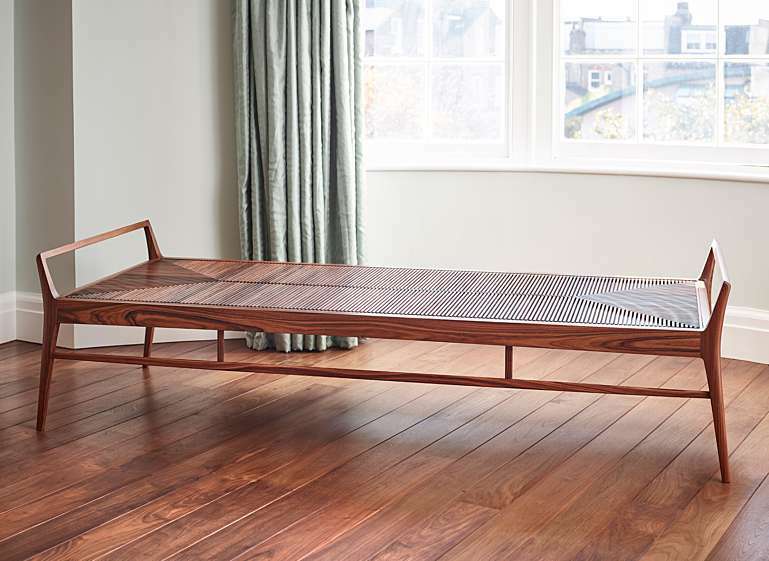 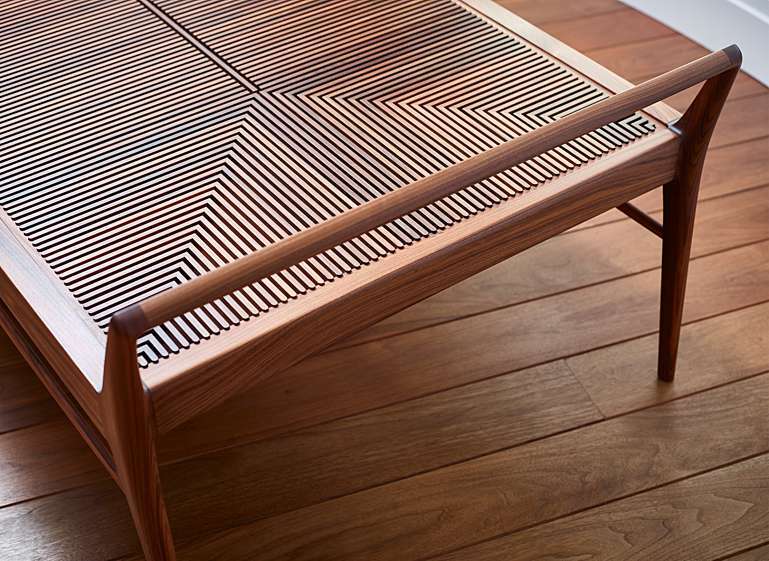 Taking design cues from the beautifully crafted chairs of Niels Otto Møller, the daybed's legs and rails connect with traditional mortice and tenon joints, with hand-shaped curves softening each junction in the time-honoured Danish style.